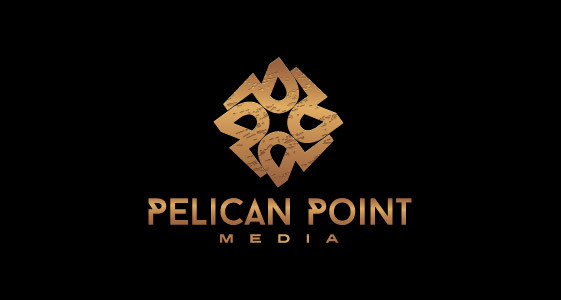 Pelican Point Media, LLC, the entertainment arm of Pelican Point Capital Partners, LLC, is pleased to announce that it is co-producing and providing the financing for a documentary entitled STURGIS 75 THE RIDE 2015 documenting Grant Ibrahim’s motorcycle trip from Los Angeles, California to Sturgis, South Dakota and the 75th edition of the Sturgis Motorcycle Rally in Sturgis, including the eighth annual Legends Ride® which raises funds for local charities. Ike Suri, Shad Quraishi and Bruce Bendell are the Executive Producers. The over one week rally includes hundreds of events including a Motorcycles as Art Exhibition, Roller Derby and Midget Bowling, and music from a myriad of bands including Alice Cooper, Brantley Gilbert, Lynyrd Skynrd and John Fogerty to name just a few. Sponsors of the rally include Harley-Davidson. Coca-Cola, Budweiser and Geico Motorcycle. Sturgis, South Dakota has been home to the motorcycle rally since 1938, and over the years has been the central meeting place for motorcycle enthusiasts from around the globe. This year marks the 75th anniversary of the rally celebrating the motorcycle lifestyle in America and is expected to attract approximately a million attendees including major celebrities. Motorcycle culture transcends race, gender and age and continues to grow in popularity as a means of recreation and leisure, and counts among its active enthusiasts Brad Pitt, Tom Cruise, Keanu Reeves, Kiefer Sutherland Mikey Rourke, Peter Fonda, James Caan, Robert Patrick and Arnold Schwarzenegger. Sturgis 75 The Ride follows Grant Ibrahim’s journey from Los Angeles to Sturgis and will chronicle this unique event from a participants perspectives collecting stories, journeys and relevance the event has for its diverse participants. Chuck Haifley will act as the director of photography for the documentary, his experience includes the production of live sporting events in HD (Boxing) to producing Bon Jovi, Michael Jackson and Tina Turner music videos as wells as 3D events for various concert events including the Ultra Music Festival. Grant Ibrahim has been a field producer, cameraman, documentary creator and concert producer and has been active in using his media skills to bring awareness to various causes from community development issues to candidates seeking office. Pelican Point Media, LLC is financing and producing the documentary. Pelican Point Media, LLC is a media group that is focused on film & television production, finance and distribution including its current projects Ripped (starring Russell Peters and Faizon Love, directed by Brad Epstein), The Brits are Coming (starring Uma Thurman) and Daughter of God (starring Keanu Reeves). For more information on Sturgis please visit http://www.sturgismuseum.com/ or http://www.sturgis.com/. For more information on Legends Ride please visit http://www.legendsride.com.